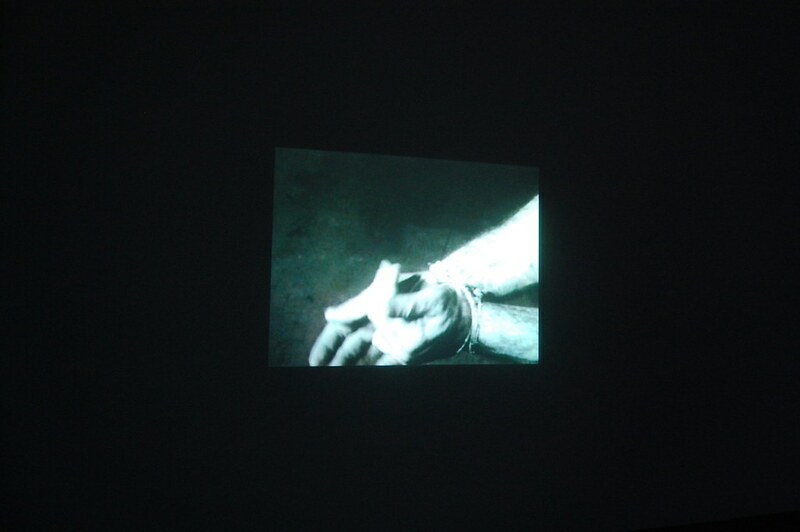 Richard Serra, Hands Tied, 1968, film projection, dimensions variable. While MoMA made use of its floors that were purportedly designed to accommodate large Serra's largest pieces, K.W. Berlin went in exactly the opposite direction, showing us a handful of the artist’s too rarely shown early films. The works were presented together in various corners of a single room on loop, allowing visitors to wander between and glance among the pieces. In Hands Tied we watch a single, close-up shot of Serra’s bound hands as he struggles viciously to tear them free from some heavy rope, a succinct allegory for the machismo, virulence, and fight that would define his next four decades. Serra also gave the commencement address at art history powerhouse Williams.